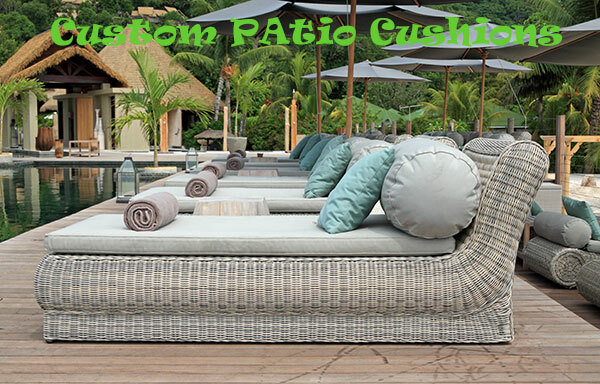 Custom made patio cushions for outdoor furniture. 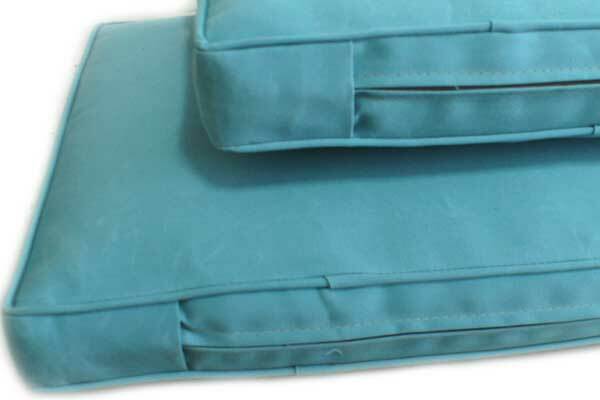 Pool furniture Patio Cushions with waterproof fabrics by ML Upholstery. It is easy to replace your old outdoor patio cushions for your home or office by adding a new custom made cushions with new fresh waterproof fabric. 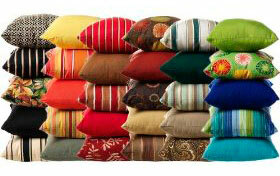 We have a broad assorted fabrics for any custom cushion in many styles to fit all sizes of your furniture. You can relax and watch around the pool or your garden on your outdoor furniture. All fabrics for patio cushions we have are resistant to weather conditions such us: sunshine, chlorine damage , sun over exposure, weather radicals that damage the fiber, etc. We care all this situations when we design any patio cushions for your outdoor furniture. Custom Outdoor Patio Cushions Manufacture. Any size, any color you wish!! We make gorgeous pool outdoor patio cushions for your pool or beach outdoor furniture. Enjoy the sun day and rest on peace with a new cushions. Make new patio cushions for a living at our local upholstery shop. 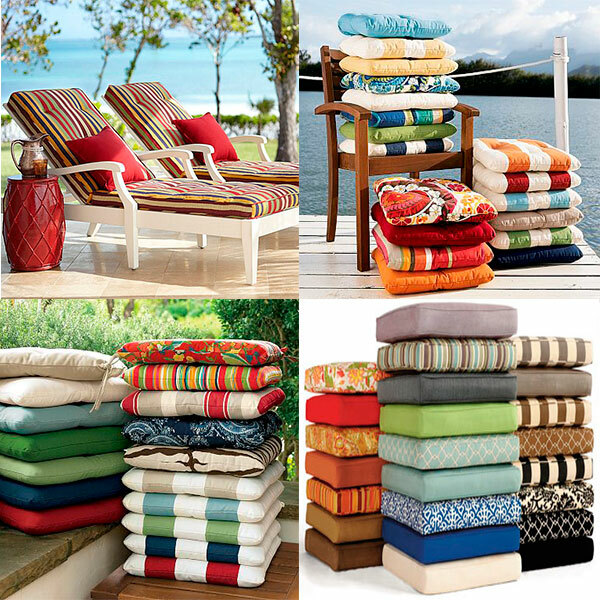 Patio Cushions for a living for any outdoor environments. New patio cushions design at ML Upholstery Services. Residential or Commercial use. Experts making new patio cushions. 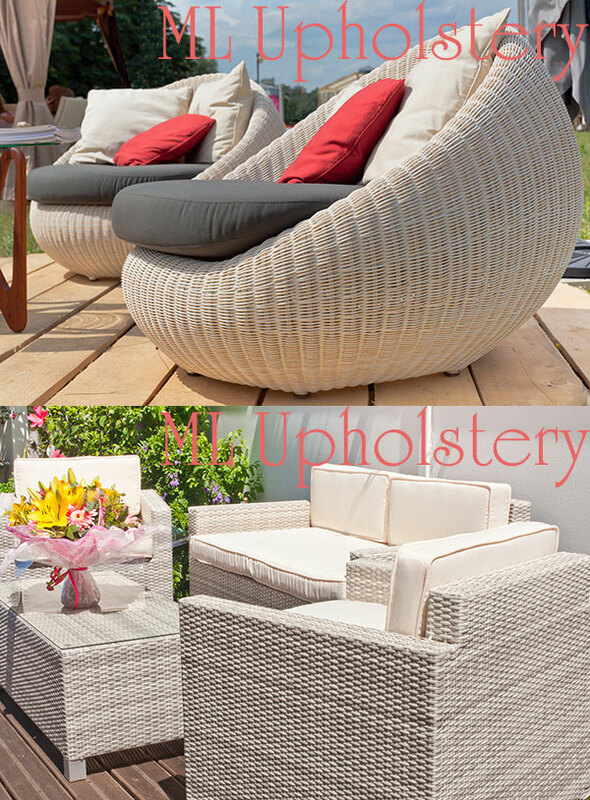 We understand customer needs by giving the best quality outdoor upholstery fabrics. We carry sumbrella waterproof fabrics with high standard for outdoor uses. Color Available for any environment pool or beach. Patio Cushions Custom Made Sample by ML Upholstery. Blue light color sumbrella fabric was used with this patio cushion for a customer.